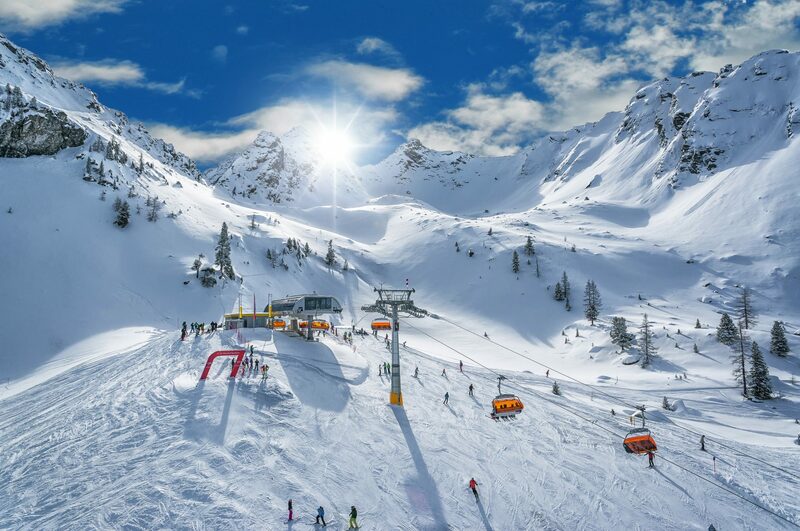 The Schladming-Dachstein region is one of the most popular ski destinations in Austria and, indeed, is one of the top five most visited resorts in the Alps, but it’s less well known to us Brits than it should be. Located in southern Austria, the Schladming-Dachstein region has a good-sized ski area served by fast, comfortable lifts. 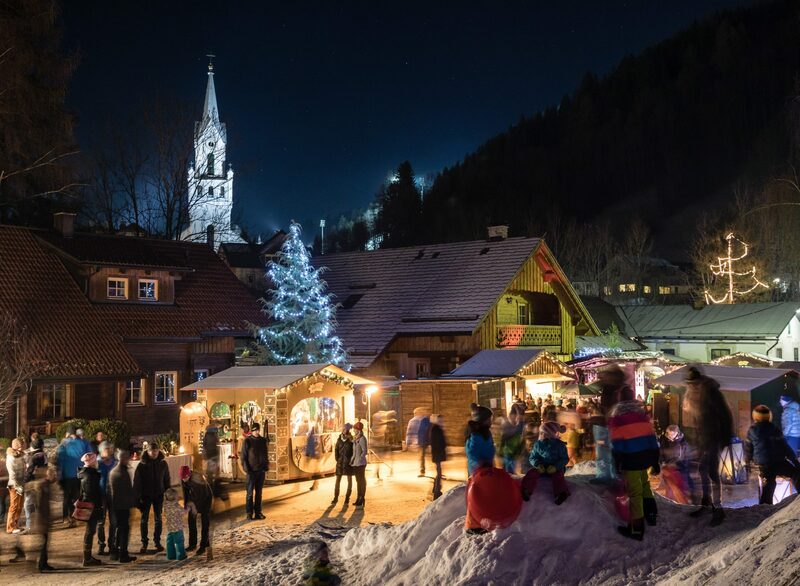 The main resort base in the region is the busy town of Schladming, a year-round destination, parts of which date back to medieval times, and the heart of which is fully pedestrianised. And it’s all located a short, easy transfer from Salzburg airport. Schladming-Dachstein’s ski area is spread over four interlinked mountains, providing an intermediate’s paradise with most of the runs graded red and the slopes well linked by efficient, comfortable chairlifts and gondolas, including several with heated seats, so any concerns about the build-up of queues are quickly dissipated. Much of the skiing in the area is tree-lined, which provides excellent visibility in all conditions. The resort also holds a reputation for being home to Austria’s most beautiful ski runs. That’s not just about the view (although that’s fantastic!) but it’s also about the quality of slope preparation with fantastically smooth runs. Advanced skiers are likely to know the Schladming-Dachstein region well already, as the resort has a long history at the forefront of ski racing, hosting the bi-annual World Alpine Ski Championships in 2013, as well as the popular annual Night Slalom World Cup races shortly after the annual Hahnenkamm races, which sees tens of thousands of ski racing fans line the slopes. Britain’s Dave Ryding has been a star at these Schladming races in recent years and you can ski on the very same slopes as Dave both before and after the big race. The Special Winter Olympics were also hosted here in 2017, attracting 2,600 competitors from more than 100 countries. There’s also some great freeriding terrain to be found with the help of a local guide if you’d like to head off-piste. Altogether there’s 123km of piste on your doorstep, but the wider region also encompasses a number of smaller areas, including the snowsure Dachstein glacier – so whatever the weather is up to, you’ve always got glacial snow security. The regional Ski Amade lift pass includes a remarkable 750km of terrain at dozens of ski areas nearby with buses linking the different areas together. But a winter holiday in the Schladming-Dachstein region is about much more than the ski slopes, wonderful though they are. The town of Schladming itself is busy year round, which means that restaurants, bars and shops are well established and not so influenced by seasonal variations as they are at many ski resorts. It’s a wonderful, eclectic mix of the old (the old town gate, the church and several other buildings date back at least three centuries) and the new, in the form of stylish modern architecture, all perfectly blended together into an enticing destination. The après ski normally gets going in the Hohenhaus Tenne, next to the Planai base station, at the end of the ski day, and indeed the party can stay here all evening if, as it later transforms into a nightclub. But there are plenty more venues in the heart of the resort where you might find the moment that matters to you most on your ski holiday in a cosy bar or intimate restaurant. Of course, as you would expect of a ski area of this size and importance, there’s lots to do besides snowsports, and Schladming-Dachstein is a great choice if you have non-skiers in your group or if you simply want to vary your activities during your stay in the mountains. The resort has a superb swimming pool and leisure centre, and back out on the snow there’s more than 400km of cross-country ski trails as well as the opportunity to enjoy activities such as snow-shoeing, sleigh rides, winter hiking on cleared and marked paths, ice climbing or perhaps a torchlit walk. 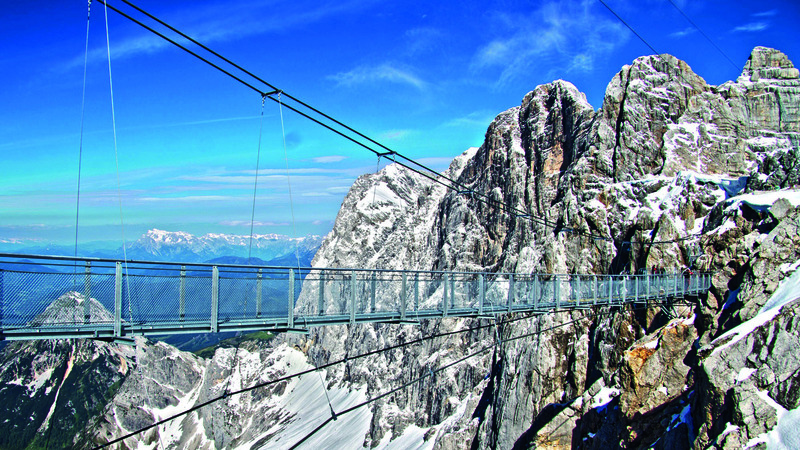 Up at the Dachstein glacier there’s an incredible Sky Walk out over the void, if you’ve a head for heights, and there’s also the amazing Dachstein Ice Palace. You really should be considering Schladming-Dachstein for your ski holiday this year. It’s a great choice when you’re searching for those perfect winter moments.